Ever get tired of the same ole bows on top of those presents? 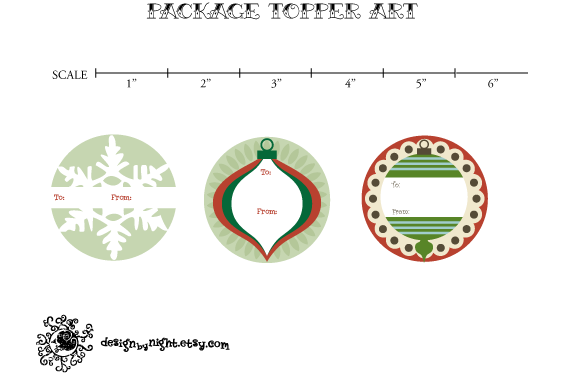 Well change it up a bit with this recycled package topper. 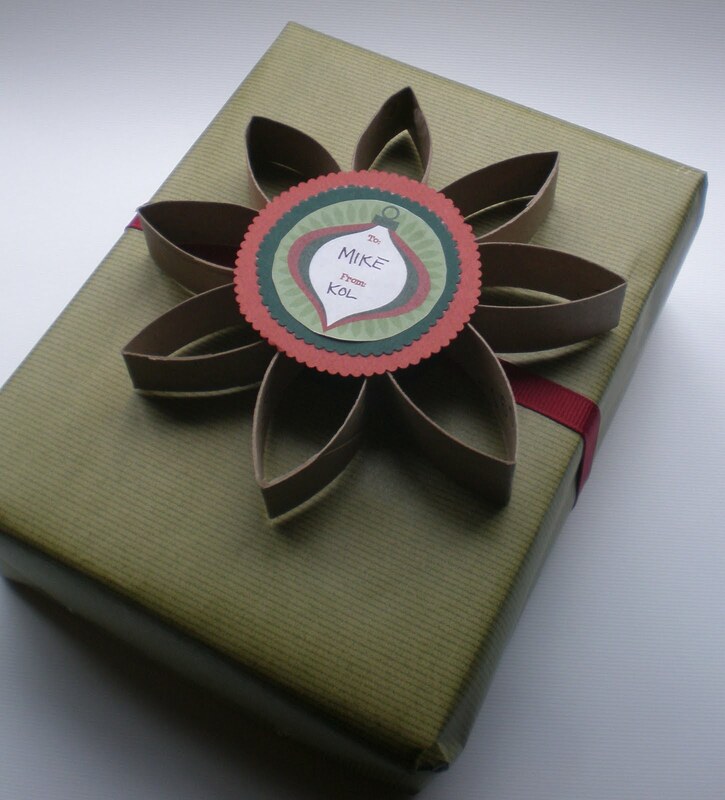 This topper can be made from the card board rolls that you have left over after you have finished your wrapping paper and they are super simple to make. 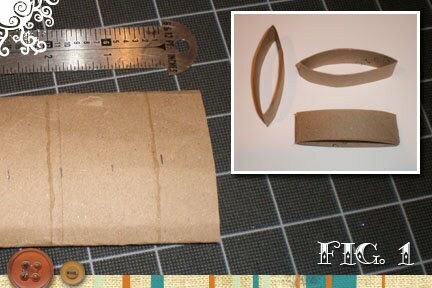 Take the card board roll and flatten it. 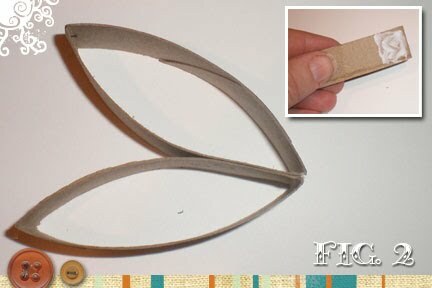 Measure out eight 1.75" wide sections and cut them. 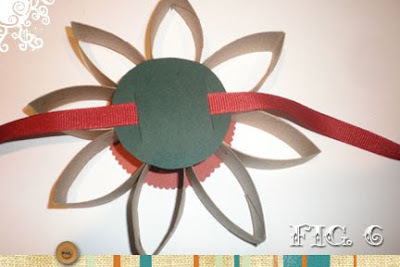 Put white glue on about a half inch of the bottom of one of the card board pieces then glue it to another of the card board pieces. 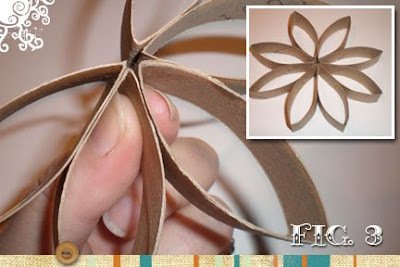 Continue glueing the card board sections together to form a circular star. 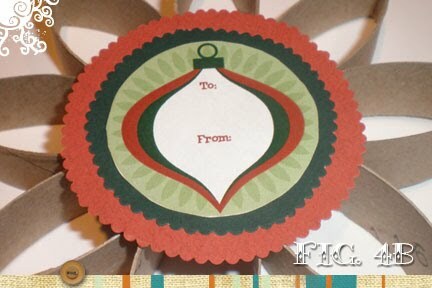 Cut a circle out of your scrap paper that is 2.5" round. (NOTE: I used scissors that had a fancy edge but regular scissors would work fine. I also cut a second 2" circle from another color and printed out a third circle with some holiday artwork but this is not necessary. 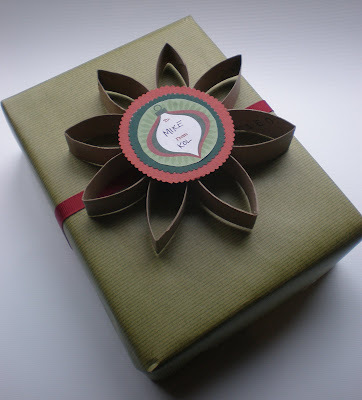 Play around with different colors, patterns and textures of paper to get a look that appeals to you). Measure the area in the center of the star where the circle will cover and place glue on the edges and glue the paper to the center of the star. Cut a 2" circle and cut 2 slits the width of your ribbon on each side. 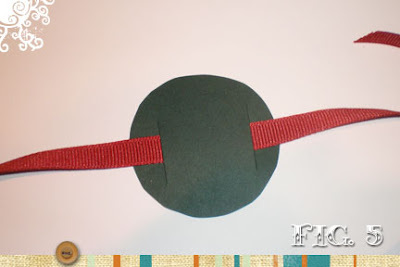 Thread the ribbon through the circle. Measure the area in the center back of the star where the circle will cover and place glue on the edges and glue the backer with the ribbon to the back of the star. If you like the art I used for the center of my star, here it is an a few more, Happy Holidays! Love these! I used tp and pt rolls to make ornaments for my "reuse" Christmas tree. 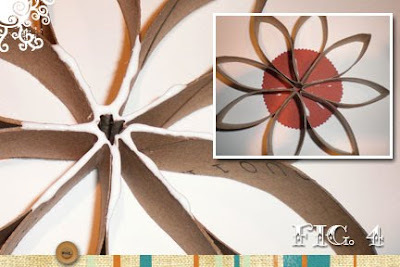 Tip: use clothes pins to hold the pieces together while they are drying. I really love your blog, can't wait to keep reading!